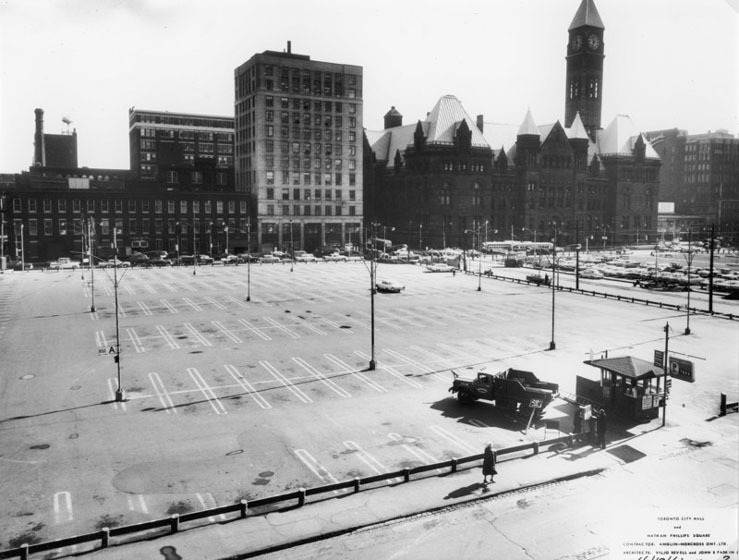 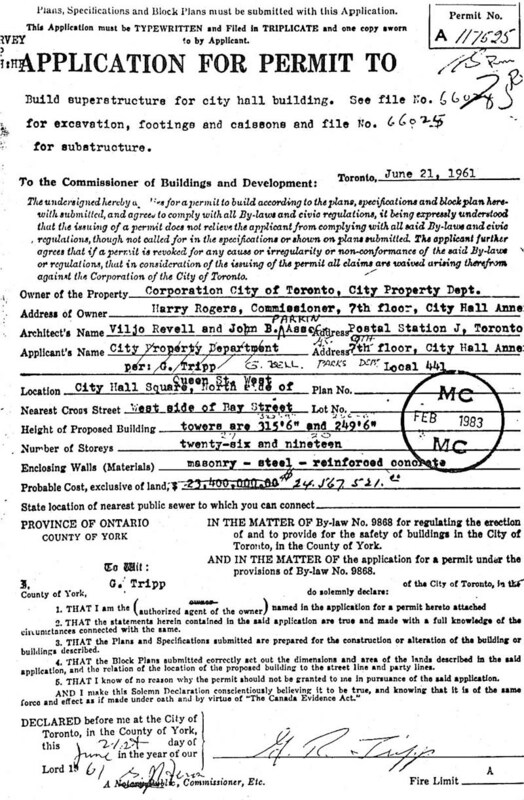 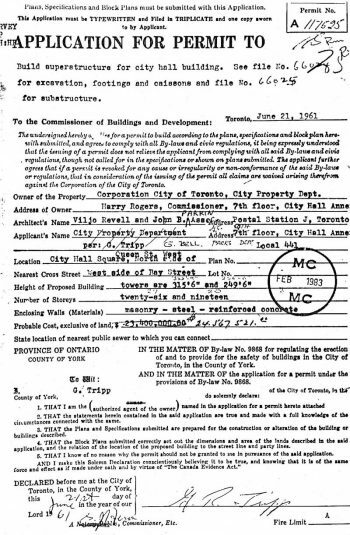 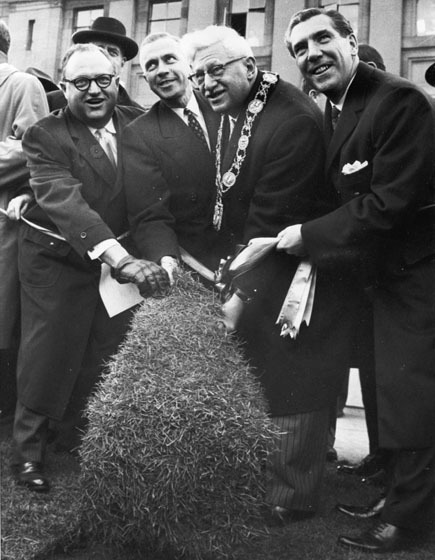 Ground was broken for the New City Hall on November 7, 1961. 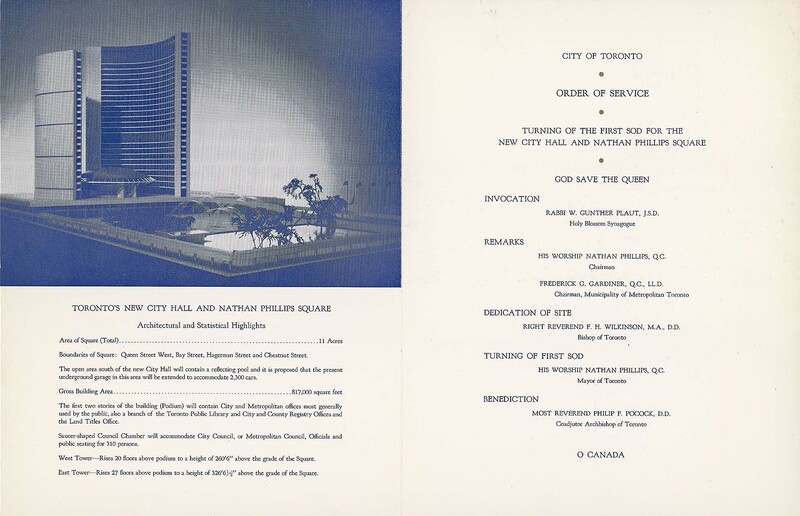 Mayor Nathan Phillips, Q.C., turned the first sod for the building and its surrounding square, which had already been named in his honour to recognize his tireless advocacy of the City Hall project. (That day also happened to be the Mayor’s 69th birthday, and the crowd sang ‘Happy Birthday to You.’) The ceremony took place in front of the Registry Office.